FIWAL is excited to be co-hosting an Autumn GALA with our newest club member, the Azerbaijani Women’s Association in the United Kingdom. Tickets are now on sale and can be purchased by contacting us at events@fiwal.org.uk. As well as a lovely reception and a delicious dinner, you will have the opportunity to take part in a live auction for spectacular items. Click here for more details of the event. We look forward to seeing you and your friends on Saturday, 17 November! Tickets are now available for FIWAL’s Spring Luncheon. Members of FIWAL Associations should contact events@fiwal.org.uk for more information. Inspiring stories of female struggle for success against the odds will be told by our very impressive speakers, Diana Chan (CEO of Euro CCP); Dr Kamel Hothi (Head of Fundraising Lloyds Bank); Tasleem Mulhall (Photojournalist, artist and women’s campaigner). All three have their own very special stories of triumph over considerable obstacles, including cultural and social misogyny. We are very lucky to have them, and our moderator for the event, Rita Payne (President of the Commonwealth Journalists Association), whose long experience in the fight for women’s rights gives her a special insight in to the subject. They should give us plenty of food for thought, and we hope to have lots of audience participation during the Panel Discussion which will end the morning conference. After lunch, the afternoon will be given over to celebrating FIWAL’s 30th Anniversary in earnest, with champagne, music and birthday cake, so come, bring your friends and join in the fun. To attend, you must be a member of one of FIWAL’s Member Associations, or invited as a guest. We very much look forward to having you with us! FIWAL is delighted to share some photographs with you, taken at its Valentine’s Tea held at the beautiful French Ambassadorial Residence on Tuesday 11th February 2014. 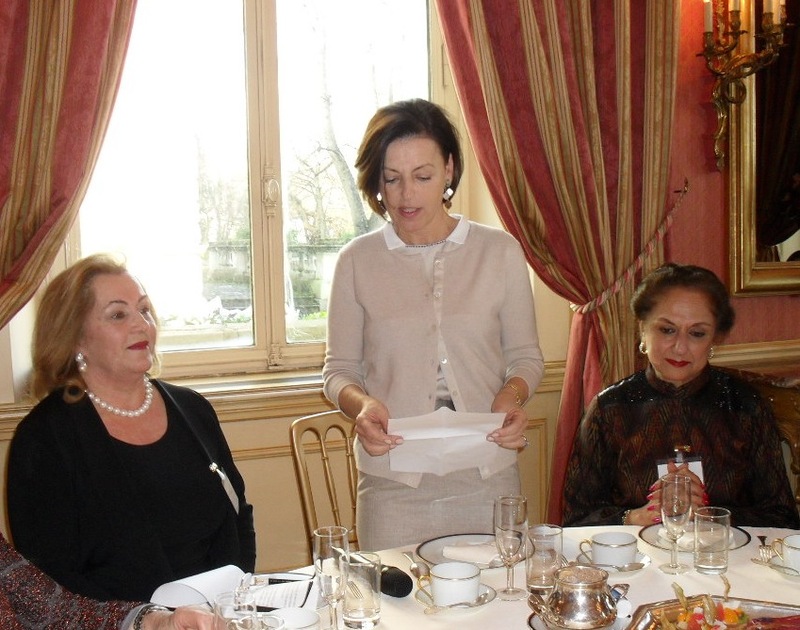 It was a lovely occasion, and we would like to extend our warmest thanks to our hostess, Madame Bernard Emié. Click here to view all the photos. 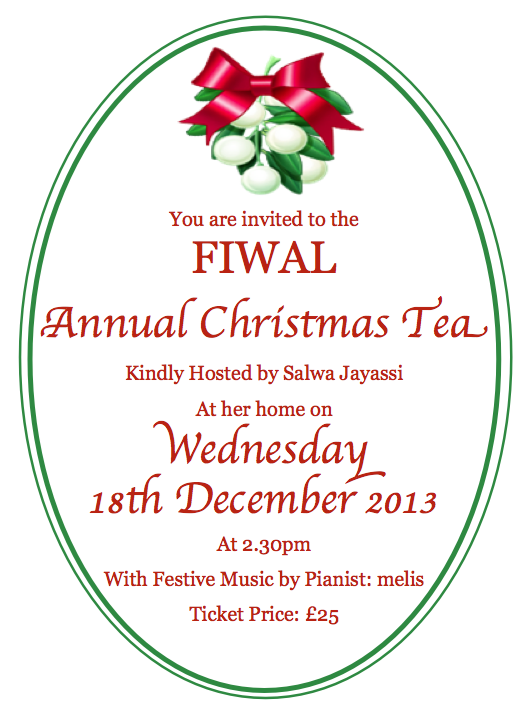 Please visit the FIWAL Events page for more information and to download the ticket application form. 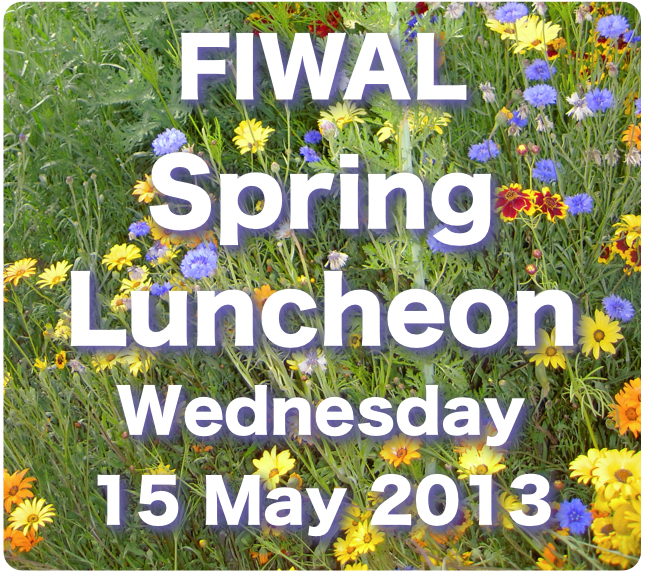 FIWAL’s Spring Luncheon will be taking place on Wednesday 15th May 2013 at the Churchill Hotel in London. Courtesy of Latifa Kosta we are delighted to be joined by a wonderful Quartet from the London International Orchestra. To view/print the ticket application form, please visit our FIWAL Events page. We request that you circulate this invitation to all your club members and look forward to seeing you there!